BrandTech makes it easy to determine the plate you need for your project. With nine different surfaces, these plates are designed to minimize cross-contamination, ensure excellent recovery, and offer many options in color, well-count, and well-shape. If you are still undecided, request a FREE SAMPLE! Buy 4 Packs, Get 1 FREE! 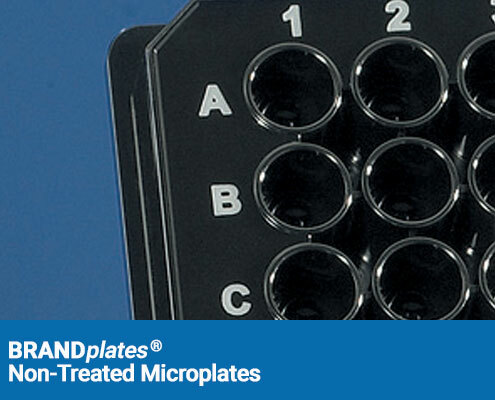 The Not-Treated Microplates are perfect for general applications and manufactured from polystyrene. 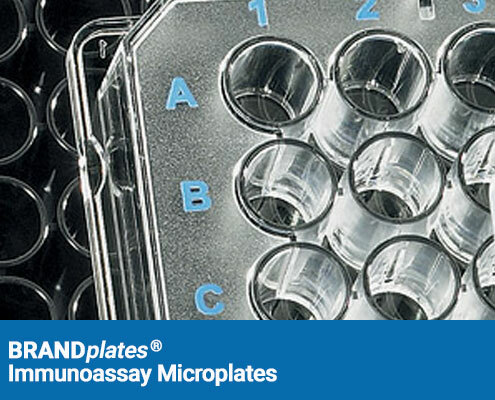 All of the Immunoassay Microplates are of the highest quality, non-sterile and manufactured from polystyrene. All of the Cell Culture Microplates are sterile according to Ph. Eur. And USP 29, Sal 10-6. 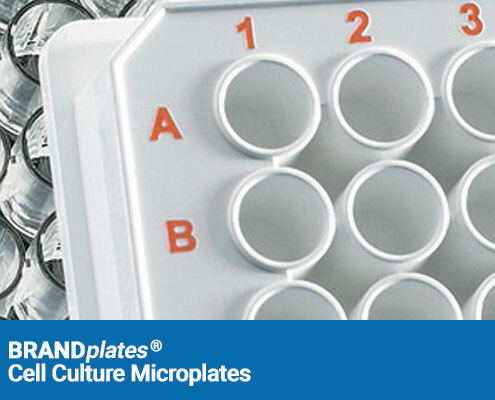 These plates are manufactured from polystyrene and with different surface treatments available to optimize specific cell growth.